SonoFlat Panels are available in two size options: 1 x 1x 2 Inches or 2 x 2 x 2 Inches panels and made of our industry-leading Studiofoam and offer great absorption of mid to high frequencies through an overall NRC rating of 0.95. The edges are beveled, contributing to an elegant look not normally associated with acoustical foam. The panels can be installed easily and arranged in a multitude of attractive patterns. SonoFlats are equally at home in a recording studio or a home theater, offering a unique, sophisticated look and a cost-effective option for realizing accurate sound. Alleviates flutter echo and slap back. Will not deteriorate or crumble apart over time. 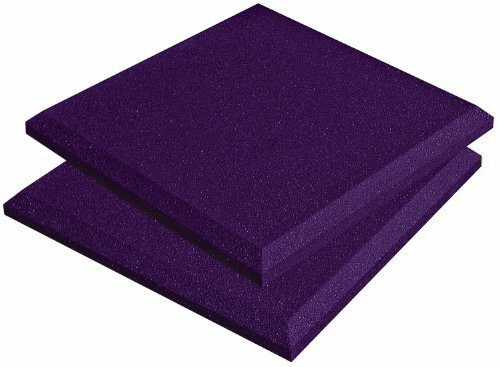 96 Pack Acoustic Panels Studio Foam Wedges 1" X 12" X 12"